Returning members of the team include the twin Spaniards, Lidia Yanes Garcia and Claudia Yanes Garcia. Lidia is the three-time defending OVC Player of the Year and is the only player in conference history to win the award three times. Claudia endured a campaign that started off with injury, but the two-time first-team All-OVC honoree returned to play a major role in the run to the OVC title match, including playing with her non-dominant left hand at the start of conference play. The team also returns a pair of All-OVC honorees in Helena Kuppig and Fabienne Schmidt. Schmidt primarily rose to No. 1 doubles and No. 2 singles last dual season and made it count as she was voted OVC Freshman of the Year and was also named first-team All-OVC. Kuppig, her fellow countrywoman, was also voted second-team All-OVC with an 11-3 dual singles record at the No. 3 position. 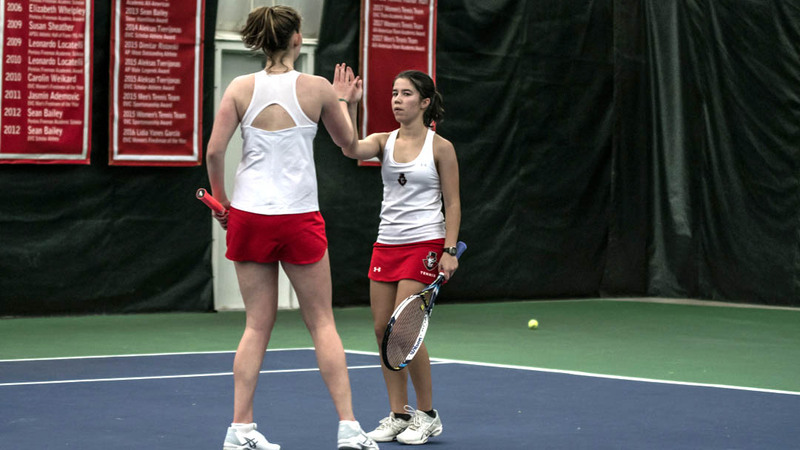 Ana Albertson also returns for the Govs and has experienced success at the APSU Invitational before, finishing second in the Flight B singles in the fall of 2016. Along with Albertson’s past success, Claudia is the defending Flight A singles champion, having defeated twin Lidia in an epic three-set thriller last fall. Lidia has reached the Flight A singles final all three times she has played in the tournament, winning once in 2015. The Govs also added two new faces to the team who will be competing in the tournament. Tatiana Lopez, a transfer from Kansas, brings experience from a high level of NCAA tennis. The junior was ranked in multiple editions of the Oracle ITA Top 90 Doubles Rankings last spring for the Jayhawks. Danielle Morris, a freshman from Australia, will also see her first action in a Gov uniform. Teams that will be in attendance are Central Arkansas, Chattanooga, and then fellow OVC members Belmont, Southeast Missouri, Murray State, and UT Martin. Due to the high number of players, some matches will be played at the Swan Lake Tennis Courts on Friday.